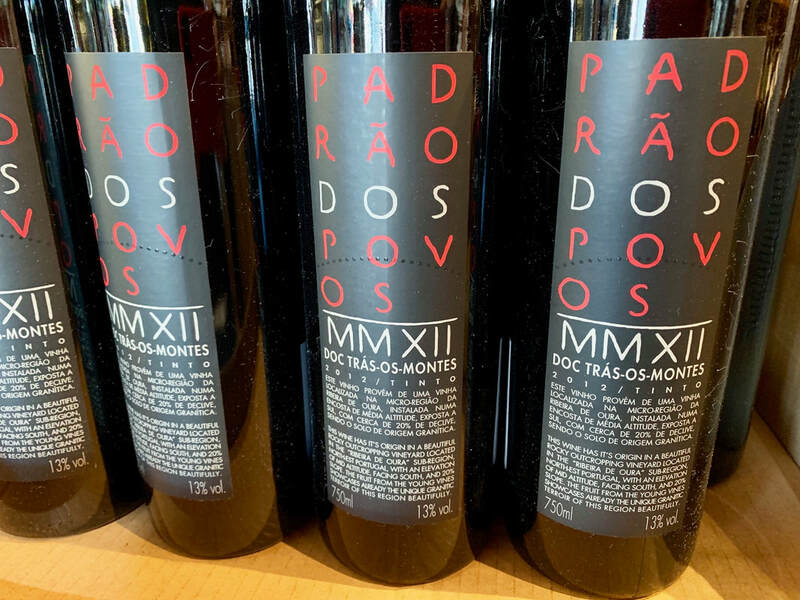 2012 DOC Tras-os-Montes, "Padrao dos Povos"
Assuming you all have the intestinal fortitude to stomach another crazy year on the blue marble, let’s celebrate the arrival of this new one with a hearty, northeastern Portuguese red that will be a big help in all your wintery food endeavors. Nestled in a remote area (Tras-os-Montes = “Behind the Mountains”), this estate only employs artisanal production methods, including biodynamic farming and hand selection of grapes, which are all trodden by foot in granite tanks. A field-blend of Tinta Roriz (Tempranillo), Tinta Amarela and Touriga Franca, this shows intense red fruit and sappy wild herb aromas, a palate that is quite rich in cherry and blueberry fruit. It is intense, but balanced with lively minerality and soft tannins. This concentrated, yet balanced wine calls out for heartier dishes that should be on your table these chillier days. Stews, braised pork shoulder, ragu pastas, rough-cut pate and strong cheeses would be ideal.